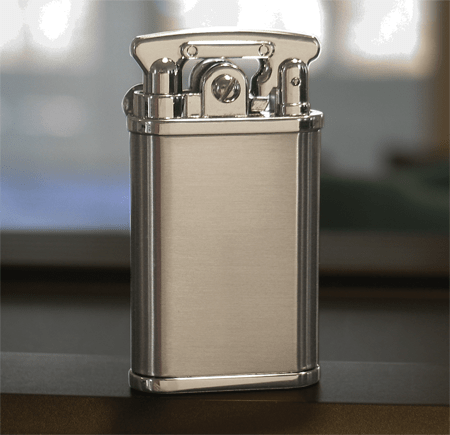 New reproduction of famous Lift Arm lighters of the 1930's & 40's. 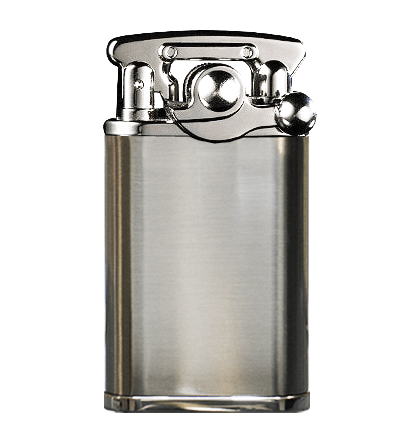 Lift arm lighters were the first commercially available pocket lighters and gained notoriety for their dependability and lifespan. Reliable flint/spark-wheel ignition lights every single time. 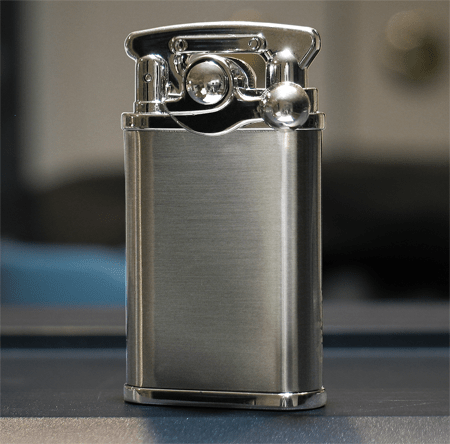 Wick lighters have a significantly longer lifespan than butane lighters and last longer between fills. Wick snuffer cap seals completely eliminating fuel leaks & odors. 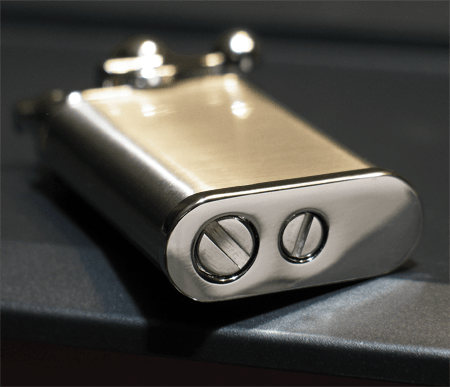 Uses Zippo flints and wicks with any fuel. To light, pull down lever to lift cap, release lever to spark. Ships dry. 2½" x 1⅜" x ½". Compare to Xikar Pipeline, Dunhill Unique & Corona Old Boy. 100% Money Back Guarantee. Please examine lighter carefully upon receipt. Return shipping is free if you are not 100% satisfied. Lighter cannot be returned once fuel is added unless defective. 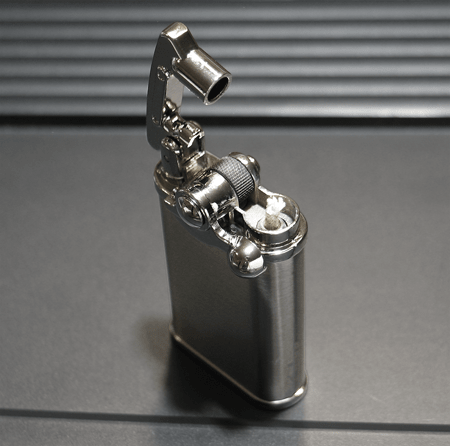 I am partial to gas/wick lighters so when I saw this lift arm, I had to have it. I've been using it daily for about a week with no problems or complaints. It works just like it should. It is very thin with a solid, heavy feel. I can't say for certain but it looks and feels like it will last.